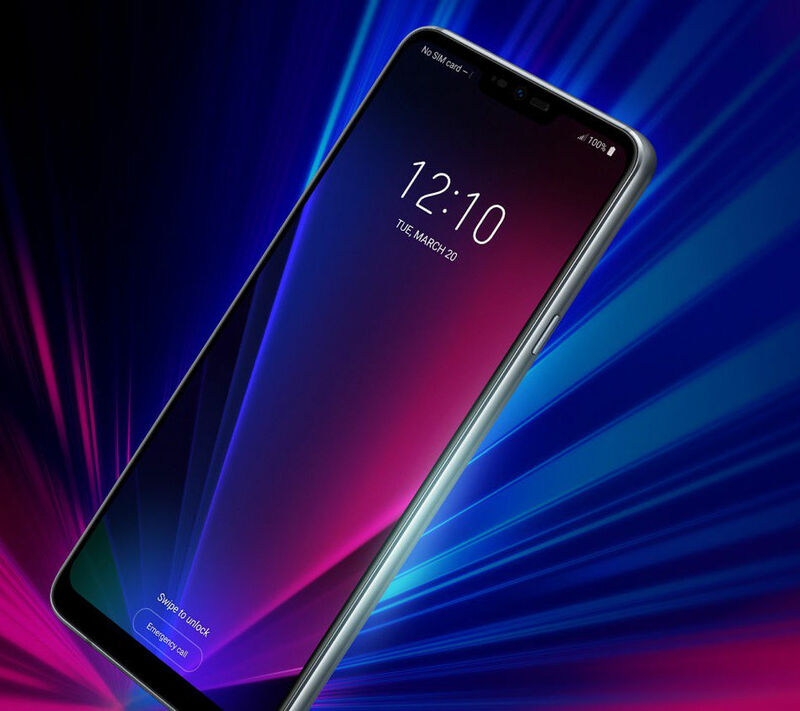 Last week confirmed that their next flagship smartphones LG will be called the LG G7 ThinQ and the phone will be launch on May 2nd. Now a new render of the smartphone has surfaced that shows the notch like iPhone X design, metal frame, FullVision MLCD+ 19.5:9 display, powered by Qualcomm Snapdragon 845 Mobile Platform and a power button on the right side, thanks to @evleaks on twitter. LG G7 ThinQ surfaces in the first live and confirmed image of the G7 ThinQ with the model number LM-G710M. 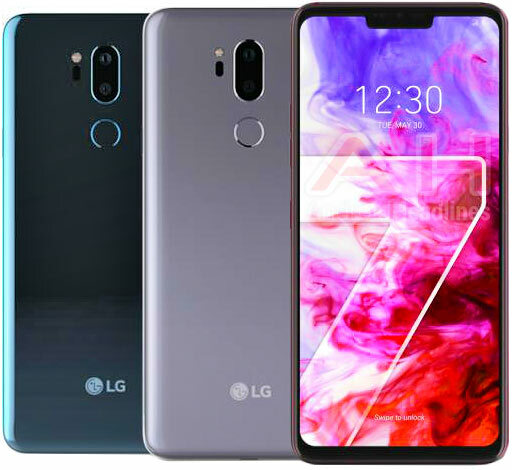 The LG G7 new series of phone 2018 for the new AI features that LG developed, the long-awaited flagship smartphone by LG shows the top-notch like iPhone X will be actually named G7 ThinQ and will come with face recognition features according to gsmarena posted full specifications details. 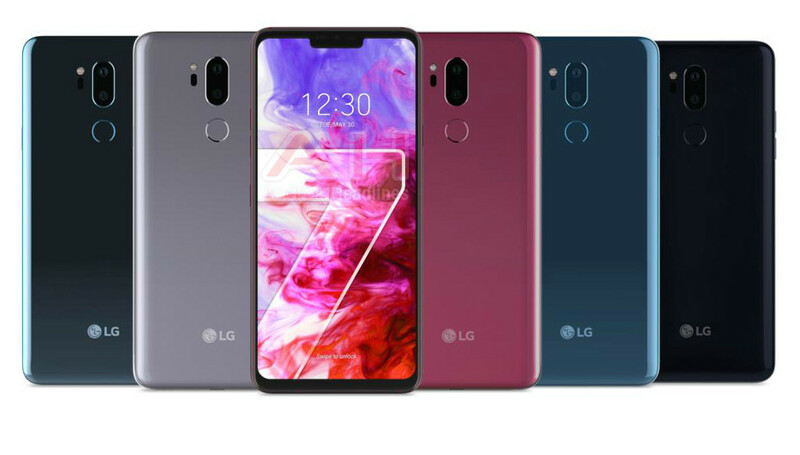 The product is equipped LG G7 with ‘Voice AI’ which performs various voice commands and ‘Empathy AI’ which focuses on ‘Vision AI’ which enhances the convenience of the camera. The Smartphone shows colors in Aurora Black, Platinum Grey, Moroccan Blue, Moroccan Blue (Matte), and Raspberry Rose . LG G7 ThinQ Release Date is May 2nd 2018 for Korea ,US , UK , Australia, Canada and India, We should know all the details when the phone goes official on May 2nd.